Notes app on your iPhone is a great place to write your thoughts, reminders or any kind of text. 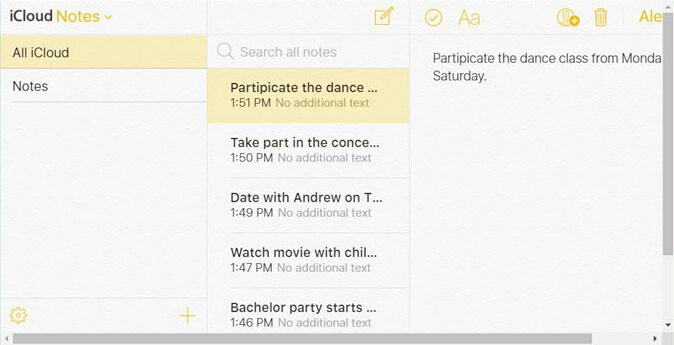 Once you save the notes, you can easily access them on your device. The entire history of notes is stored in the Notes app of your iPhone. This allows you to view and edit the saved notes on the go. But many users ask if they can access iPhone notes on PC so that they can edit them on computer. Can I access iPhone Notes on my computer? Yes, it is possible to access iPhone Notes on your computer. Here in this article we will show you all the possible ways to access iPhone notes on PC. If you are looking to access iPhone notes on PC, you should use iMyFone D-Back, which is one of the most advanced software. You can access both lost and existing notes from your iPhone. You can access and view notes within all your iPhone backups. It supports all iPhone/iPad/iPod touch and all iOS versions. It is easy for non-tech users to handle with clear instructions and interface. 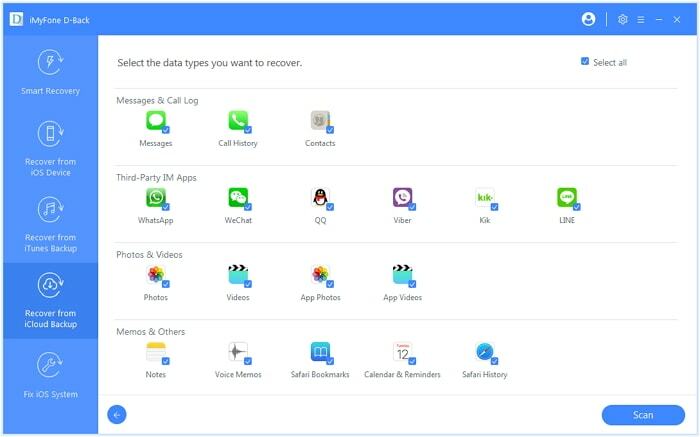 It supports other 18 file types from iPhone such as photos, contacts, messages, voice memo, WhatsApp and etc. Step 1.Launch iMyFone data recovery tool on your PC. 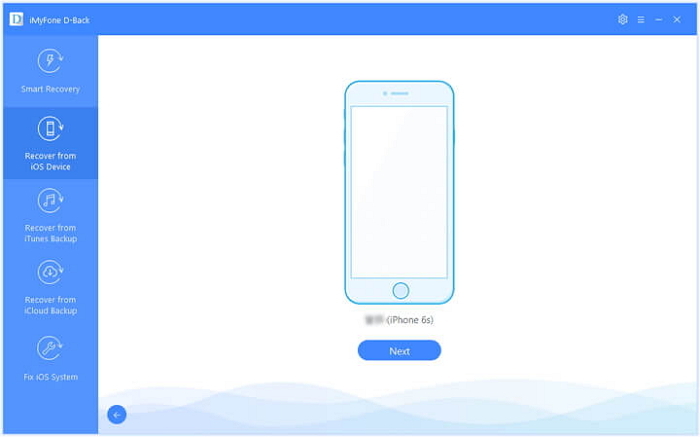 Select “Recover from iOS Device” and press Start. Connect your iPhone to your PC using the USB cable. Click “Next” when D-Back detects your iPhone. Step 2.Select “Note” under “Memo & Others” from various data types shown. Click “Scan”. Step 3.After the scan, all your notes will appear. Either select all the notes or select the ones you want and then click “Recover”. Choose the folder for saving the notes. Once the process is completed, you can now view all the notes on your PC. Step 1.Launch iMyFone data recovery tool on your PC. Select “Recover from iTunes Backup” and press Start. All iTunes backups will be shown in the next screen. Choose the most relevant one and click “Next”. Step 3.After the scan, all the notes of your device will appear. Either select all the notes or select the ones you want to view and edit and then click “Recover”. Once the process is completed, they will get stored in the chosen folder. Step 1.Launch iMyFone data recovery tool on your PC. 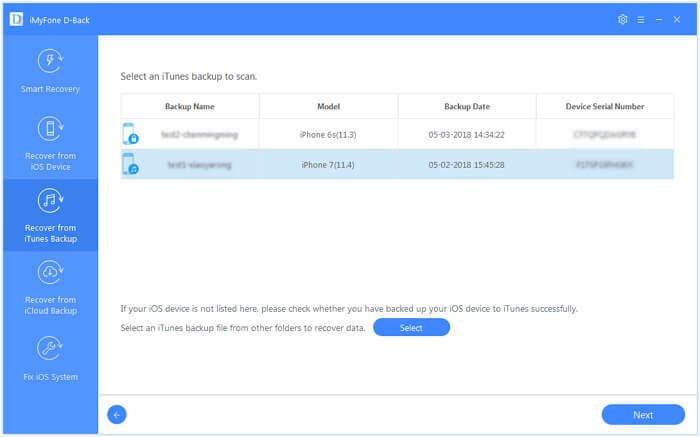 Select “Recover from iCloud Backup” and click Start. Sign in to your iCloud account using your Apple ID password. 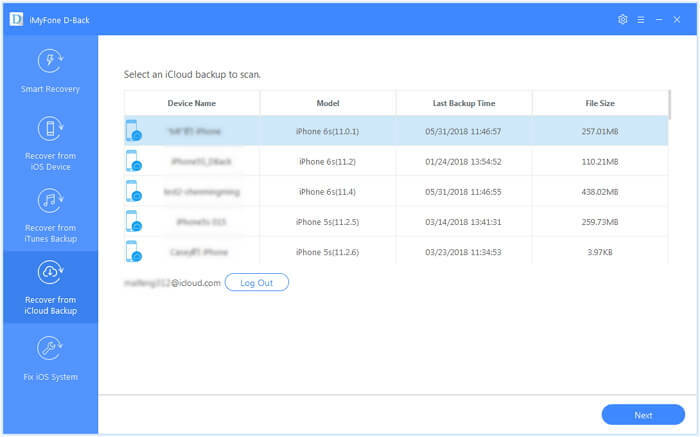 All iCloud backups will be shown. Choose the most relevant backup and click “Next”. Step 3.After the scan is over, all the notes will be shown. Either select all the notes or select the ones you want and then click “Recover”. You can now view all the recovered notes on your PC. Using iMyFone D-Back you can easily access iPhone notes on PC. This tool is trusted by millions of users across the world and many famous websites. Do not hesitate to try it. You can also access your notes on PC by signing into iCloud.com. However, before you can view or edit the notes on PC, you need to set up iCloud Notes on your iPhone. Step 1. Open Settings on your iPhone and tap on your name that will be on top. Step 2. 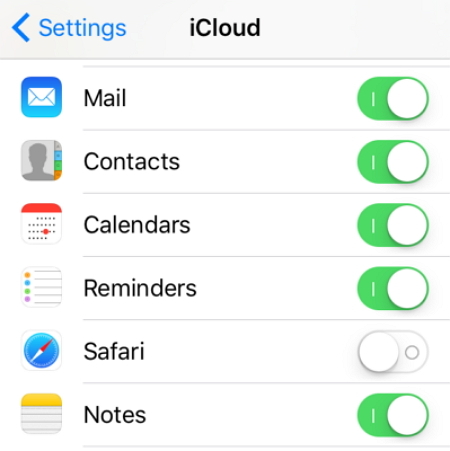 Select iCloud from various options and toggle On the Notes option. If you use iCloud services and sync the content, you can use the content among your other iOS devices. You will just have to connect your device to Wi-Fi and sign in with your iCloud account. Once you set up iCloud Notes on your device and turn it On, you can easily access them on your PC. You will need an internet connection and a reliable and safe browser for it. Step 1. Open the browser on your PC and visit iCloud.com. Step 2. Sign in to your iCloud account using Apple ID and password. Step 3. Tap on Notes from various file types displayed. 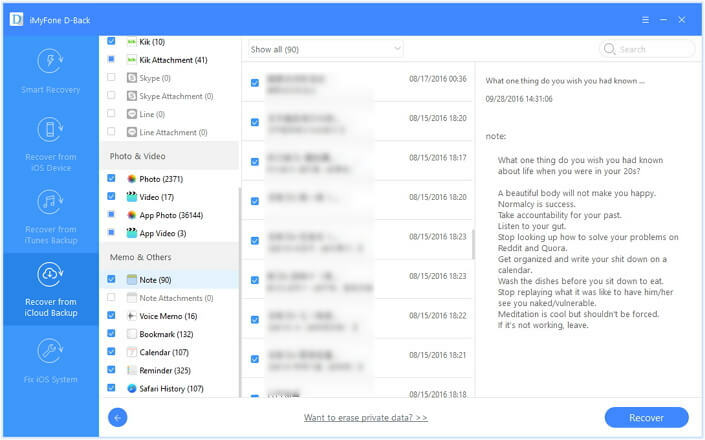 You can now view and manage Notes from your PC. When you use iMyFone D-Back, you can view the notes of your device easily on your PC even if you have not created a backup. It allows you to store the notes on your PC using multiple modes. Even if you have lost the notes of your device, there is a probability of accessing them using iMyFone D-Back. If you are still thinking how to access iPhone notes on PC, go through the methods given in this guide. Choose any of the above methods for accessing iPhone notes on PC only after checking the methods and the reviews. Feel free to leave your comments below if you have any other method for accessing notes on your PC.